You know that spreadsheet you keep, where you meticulously track all of the random and bizarre ways that it's possible to die because you superstitiously believe that if you know about them then they can never happen to you? Well, it's time to update that list to include "being shot in the back by an arrow that seems to have come from nowhere." You heard me. A seven-year-old girl was walking on the sidewalk outside her family's home this weekend in Wisconsin when she was suddenly hit in the back with an arrow. Thank goodness she was not killed, but she was very seriously injured. The arrow pierced her left lung, her spleen, her stomach, and it came to a stop in her liver. The doctors say if it had gone a few centimeters in any direction, she could have ended up in a lot worse shape. The strangest part is that no one can figure out who shot the arrow. 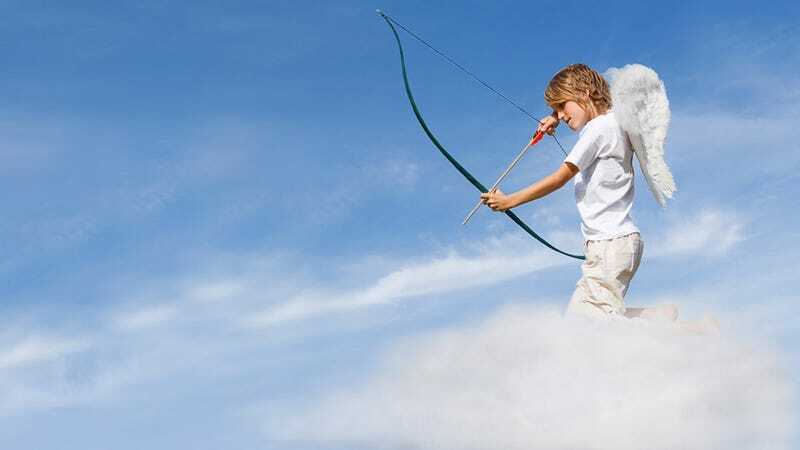 Fond du Lac County Sheriff Mylan Fink said, "It seems very odd that an arrow would come out of the sky and hit a kid, but stranger things have happened, I just can't remember any. Very, very odd." Stranger things have happened? Than an arrow falling out of the sky and into a kid's back? Is there an alien visit that you're forgetting about or something, Sheriff? The police are offering a $500 reward for information about the case, which seems a little low. They did find a bow and several arrows at a nearby property, and those are being analyzed. They're working on the theory that it was a stray arrow, which doesn't really make it any less scary. But it at least means there's probably not some wannabe Cupid or Katniss Everdeen-inspired psycho wandering around trying to pick people off. In any event, the girl is lucky—except for getting hit in the first place, obviously. She's likely going to be okay, though she is expected to stay in the hospital for another week or two. As for those of us who are in places where an arrow could potentially fall out of the sky (i.e. everywhere), we might want to spend the day scouring the internet for some attractive body armor to don during our commute.